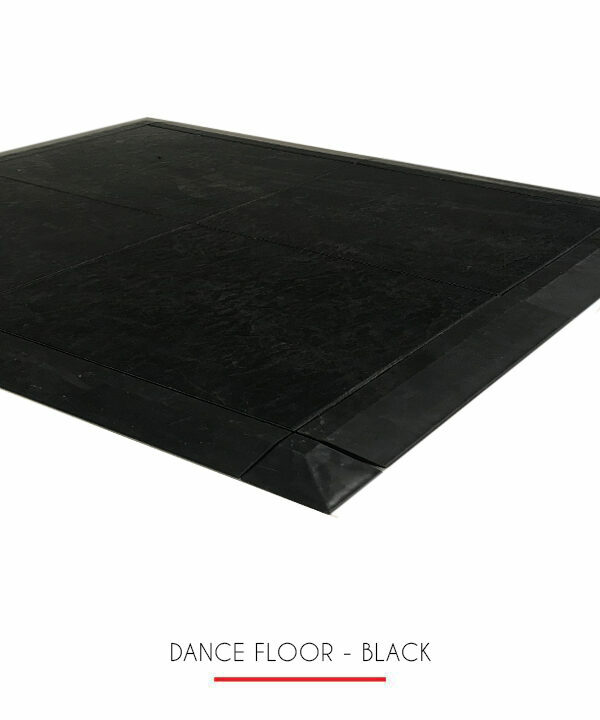 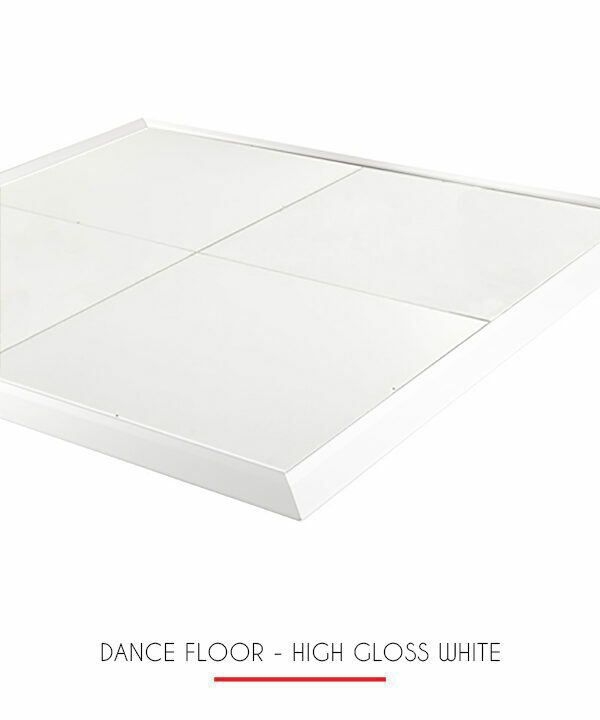 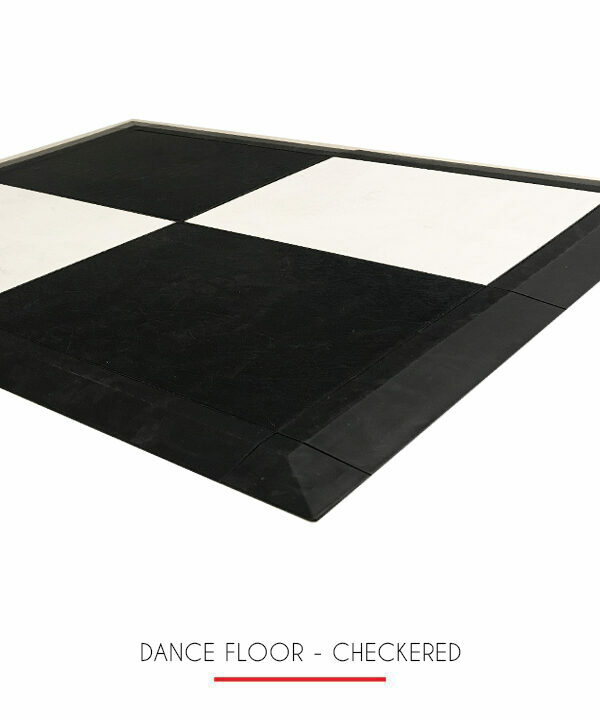 Our dance floors turns your guests into “dancing fools” and makes your party last all night. 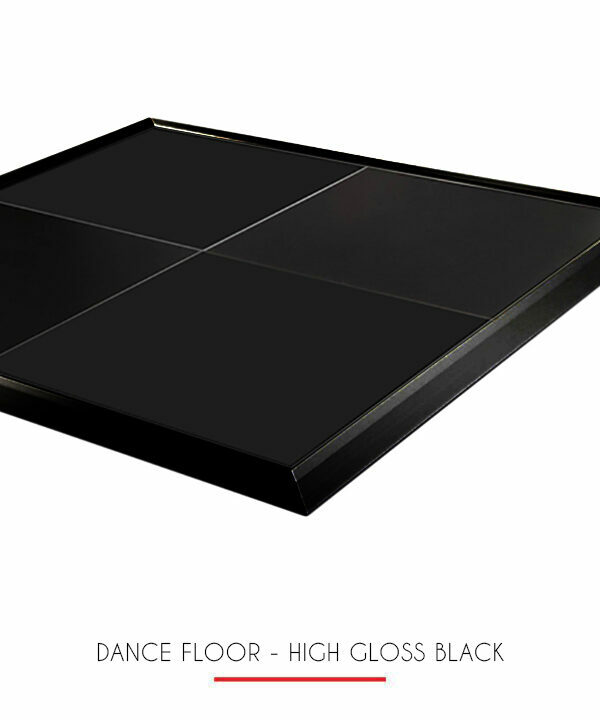 Generally, not more than 50% of the people dance at any one time. 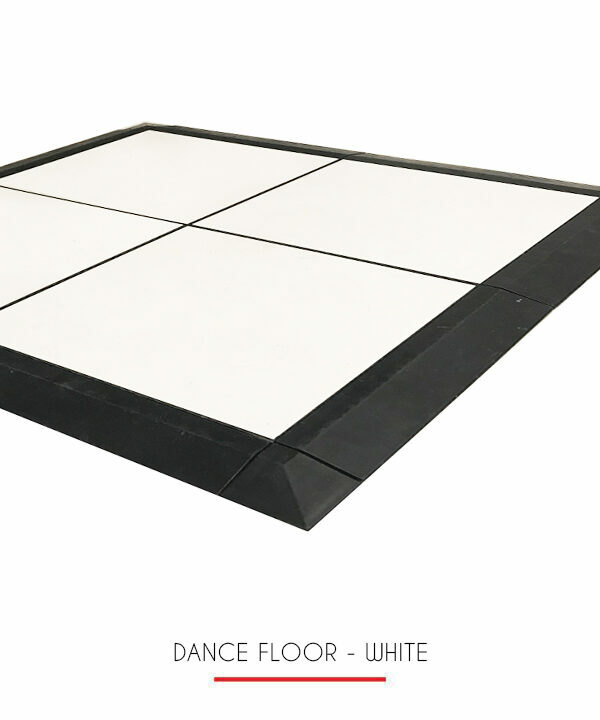 Each couple requires nine square feet of space. 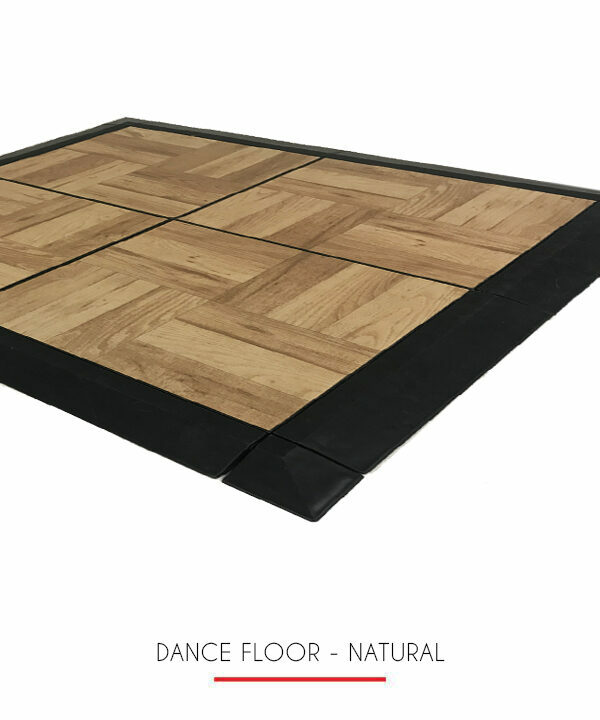 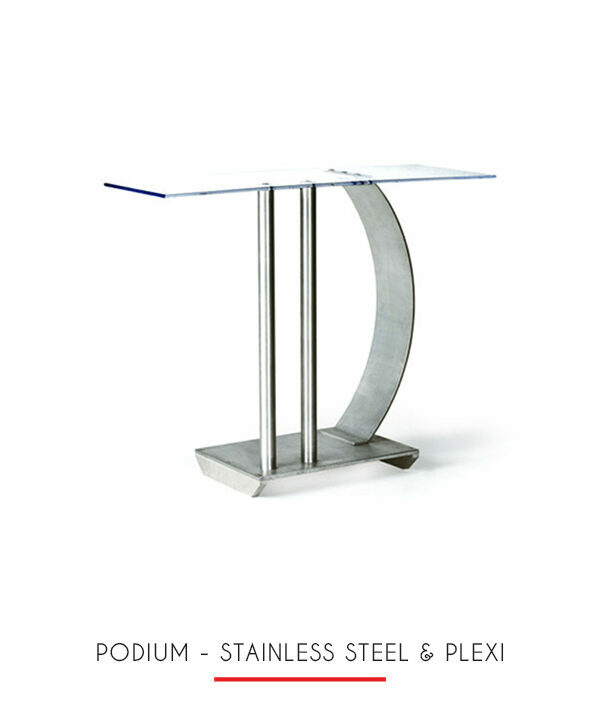 Flooring is good for indoor or outdoor use and we can assemble it for you. 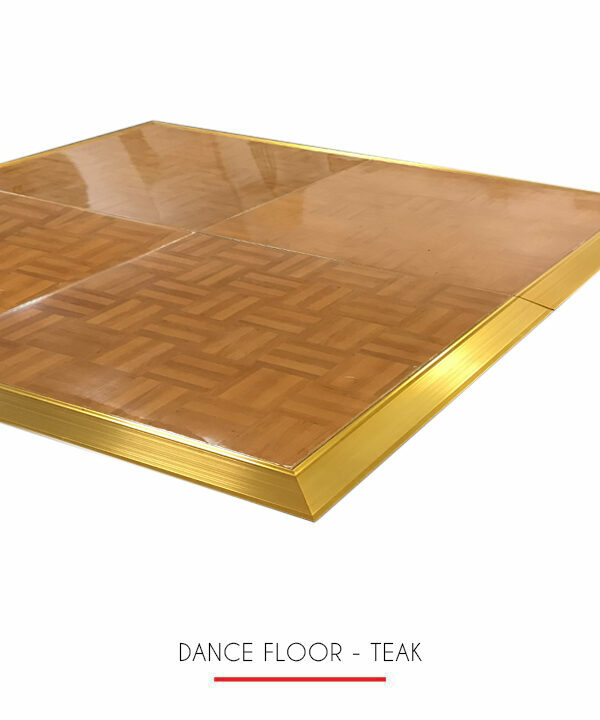 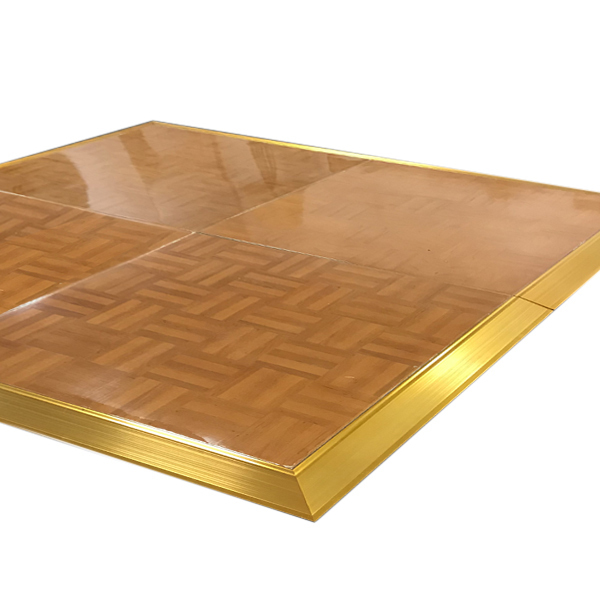 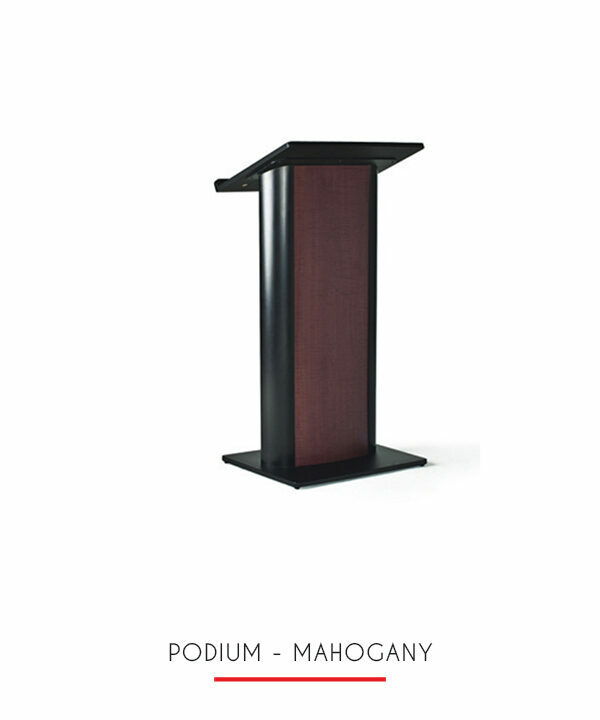 Featured here is our teak floor with gold border.